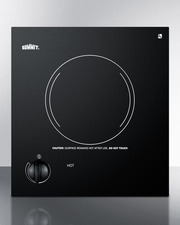 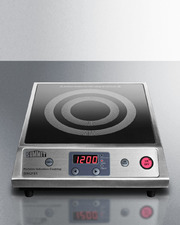 SUMMIT SINCCOM1 is a commercially approved 110V induction cooktop designed for freestanding use. 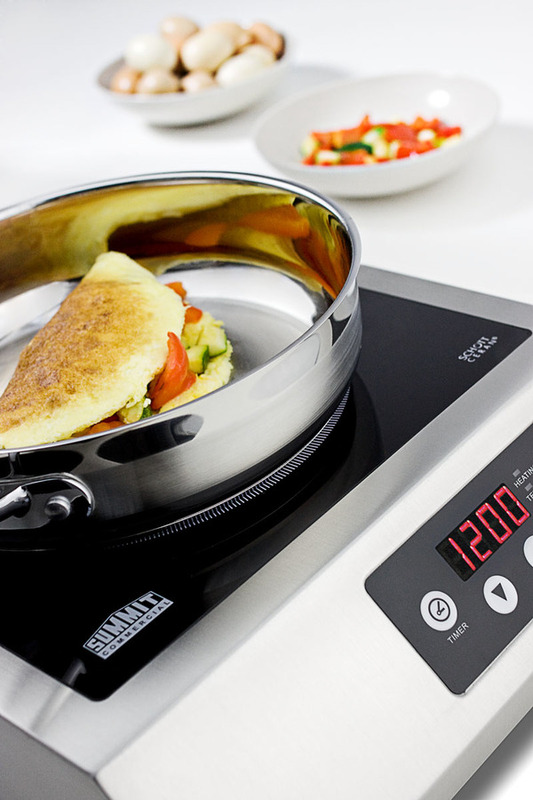 Lightweight and portable, this NSF listed unit can easily be moved to boil or fry on any kitchen counter. 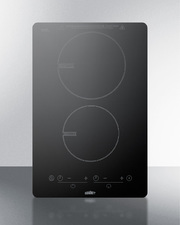 A genuine Ceran™ black glass surface ensures lasting durability and easy cleanup with a simple wipe down. 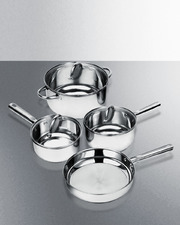 Unlike conventional gas or electric cooking, induction cooking begins right in the pot or pan. 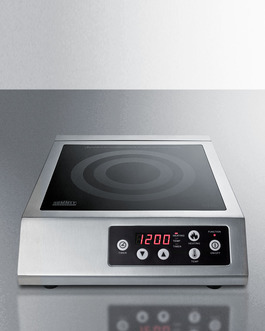 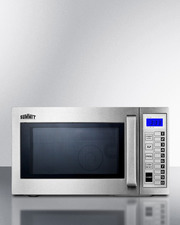 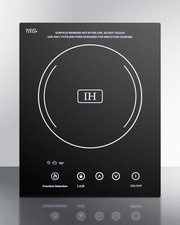 When placed on the cooktop, induction friendly cookware generates electromagnetic heat from the appliance to the pot. Because the cookware itself is the heat source, the actual cooktop does not get nearly as hot as traditional cooking elements, making induction coking a safer, faster, convenient alternative. 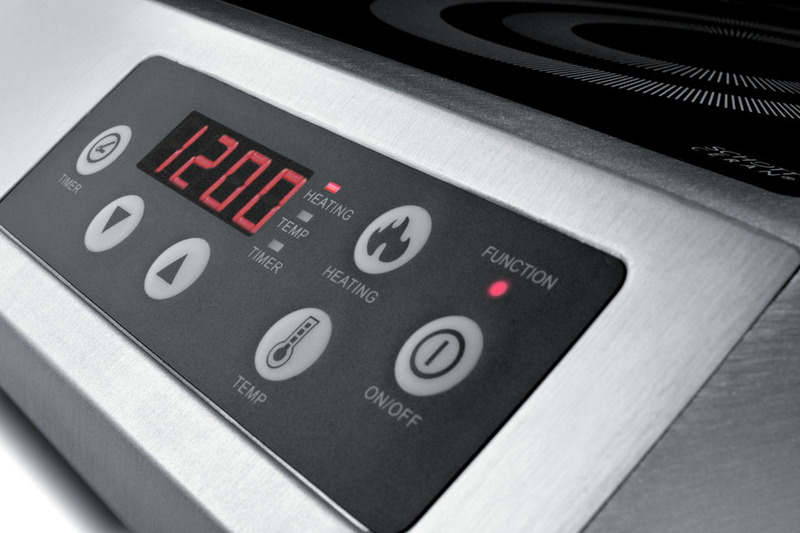 With its portable size and innovative operation, the SINCCOM1 is ideal for busy kitchens or catering applications in need of a quick, mobile heating source.